If you've ever gone camping in a winter, then you probably know that such an undertaking is no kids' play. Hence these practical winter camping tips designed for both rookie and experienced campers. How to choose and prepare your ideal campsite. 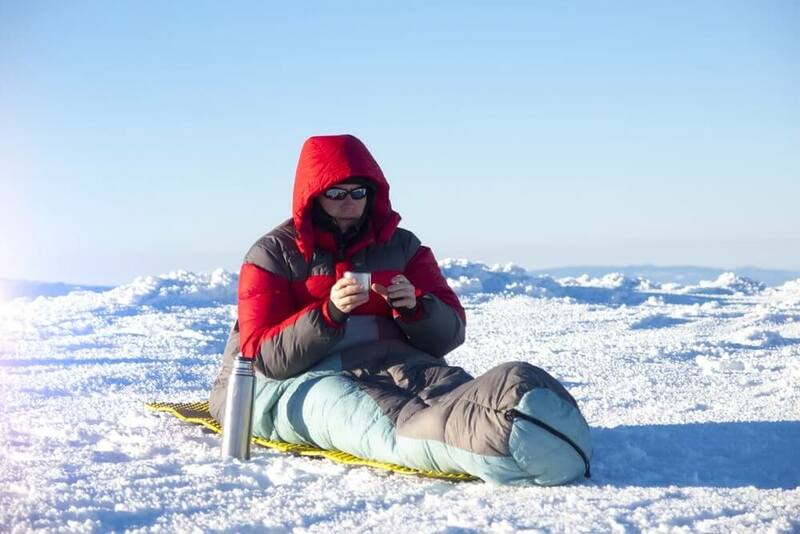 How to efficaciously put at bay the risks of hypothermia, frostbites and cold death! How appropriate winter camping gear can make your trip an insanely rewarding one. Winter camping is particularly enticing as you are surrounded by snow-capped mountains, the scent of pine, blissful quiet, and to top it all up, there's less danger of animal attacks as the bears are hibernating and the bugs are nowhere in sight. So what is it that is so appalling about winter camping? Why is camping not a year-round activity for most? You've heard it. We've all heard it. It all boils down to the question, "What if you freeze to death?" Well, what if we told you that the key to winter camping is to simply assess your body and the environment then make adjustments to better your conditions? Don't believe it? We'll show you shortly. You can only savor a winter camping trip if you are equipped with the appropriate gear to withstand the severity of winter weather. For winter camping, there are a couple of measures that you should take before leaving for your trip. You may not know it; but your camping trip begins as soon as you choose your destination. The location should realistically be easy to access especially if you are a beginner at winter camping. You do not want to start by getting lost. That, added to the chilly weather may discourage you even before arrival. You should therefore familiarize yourself with the area as much as possible. Topographic maps will for instance show you where the terrain is steep while physical maps will show you the roads along with scales so you can figure out how long it will take to get to your destination. Conducting research on the area further helps you know the location of nearby resources such as lakes and where to source for necessities such as firewood. 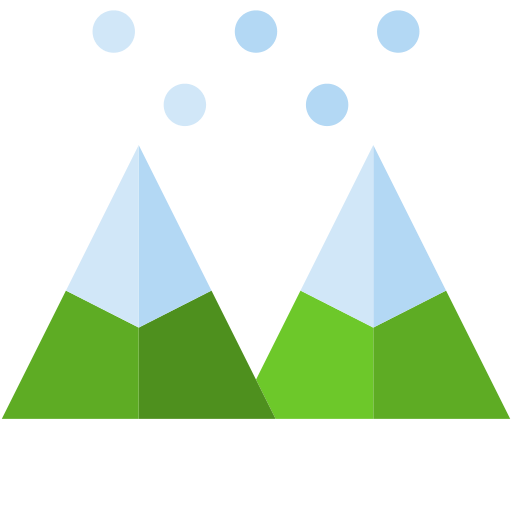 Equally important, your research should help you know how to not only recognize but also avoid avalanche areas. This is one of the biggest fears of winter camping thus you need to have an understanding of how to deduce an avalanche forecast. While researching, look out for emergency services. You need to know whether there are any available and how long it will take for rescue teams to get to you. Online reviews from previous campers will help you get this crucial information. Now that you know where you are headed, knowing the weather conditions of the area is the next step towards determining the outcome of your trip. As a basic rule before any type of camping and especially for winter camping, you should check the weather prediction and weather trends of the area you are headed to. This will allow you to take appropriate measures against any anticipated hazards. Checking the weather forecast is important as only then can you adequately prepare with the appropriate clothes, sleeping bags and tent. Be sure to keep track of weather updates throughout your trip as weather can be inconsistent and dangers such as storms are usually unanticipated. Weather hazards are not the only threats you are likely to encounter; you should also be aware of road and trail conditions. Trail closures and changes in terrain may affect your course. Take note that if according to the forecast the road conditions are likely to be dangerous, then perhaps you should consider postponing your trip especially if you are a novice camper. Although retracting and the accompanying quiet may sound enticing, it is not advisable to go winter camping by yourself. The conditions may get really grave and having people you can depend on is indispensable. 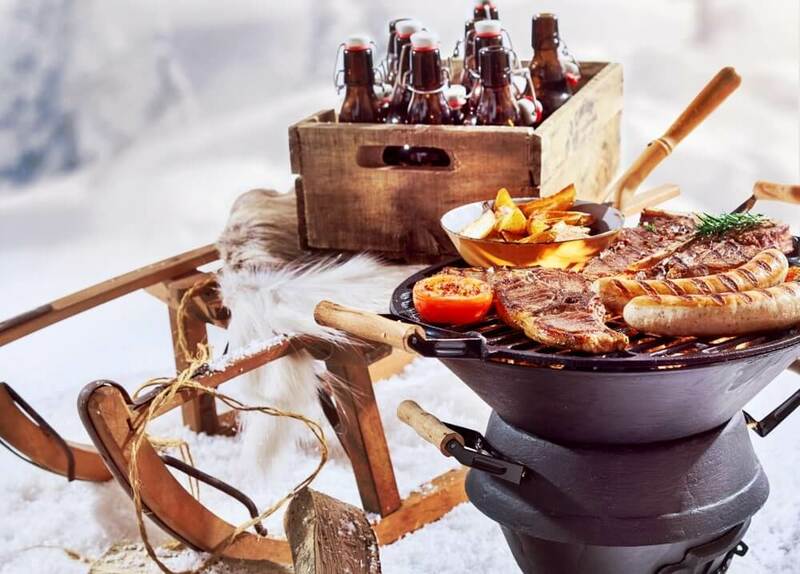 Your camping buddies should be skilled on a thing or two about winter camping. Skills such as finding routes or navigating through snow will be especially valuable. You should also take extra precaution by informing people at home of your whereabouts and when you expect to return. That way, they can raise alarm if there's no communication beyond the time of your anticipated return. As an added precaution, leave behind the contact information of your fellow campers so as to have a secondary means of communication and avoid false alarms. It is crucial that you check the condition of your gear in advance. This is because while you can easily improvise when camping in summer, you cannot do the same in winter. Gear for winter camping needs to be in the right capacity to withstand the harsh weather conditions. You do not want to be that person who realizes that their tent has a big hole upon arrival on site. Therefore, test out your gear before leaving. As part of your field test, you might also want to practice working with gloves on. For instance, you can put up your tent in your backyard. The reason is that you will need to find an easy way to function with gloves on bearing in mind that you will have them on during the entirety of the trip. Note that while your gear may be in the right working condition, it may not be appropriate for winter camping. For instance, your tent should be sturdy enough to withstand strong winds and rain yet still ensure your warmth and dryness. Thus, a 3-season tent may not be as functional for winter camping as a 4-season tent. In the same way, the poles should also be extra-strong in order to hold up well against strong winds. From sleeping bags to the correct layers, ensure that your gear is appropriate for harsh weather. Additionally, you should equip yourself with a winter camping checklist to determine essentials you need to carry with you. This list will also help you cross-check the functionality of your gear as you check for their availability. We cannot overemphasize how unpredictable the weather can be. Winter camping thus has to be done smartly. Ensure that you are equipped with extra clothes, food and emergency supplies. In case of any unforeseen circumstances, these supplies will be handy for your survival. A good example of being prepared for worst-case scenario is to carry a spare stove instead of fully relying on campfire which can stop working from the cold. Consider carrying extra batteries for electronics as this too will be helpful. From how and where you set up camp to the type of food you should consume, there are a few guidelines that will help you wither the cold of the winter. Upon arrival, your first task will be choosing the right spot for setting up camp. You should pitch your tent in an area that is densely surrounded by trees so they can act as a natural windbreak. You also want to avoid the bottom of hills where cold air channels from as the likelihood of freezing there is very high. Q: Is the area reasonably dry and flat? A: You need an area that is clean, dry and flat. You might have to pack snow to ascertain this because sleeping on uneven terrain is extremely uncomfortable. Q: Is it directly under hazardous trees? A: While you want to be surrounded by trees, your tent should not be set up directly under a tree. This is because snow usually makes branches heavier and increases their chance of breaking and falling on your tent and possibly injuring you. Q: Is it free of avalanche danger? A: For safety, your tent should be set up in an area that is not prone to avalanche danger. Q: Is it close to a landmark? A: Landmarks are important as they are easy to familiarize hence it won't be hard spotting your tent in the dark or when it is storming. Q: Is there a good water source nearby? A: Having water sources nearby is an advantage as you won't have to go too far for it. Q: Is the exposure to the sun sufficient? A: Having the tent exposed to sunlight will ensure that by the time you are retiring to sleep, the temperature in the tent is warmer. Take note that you should arrive early so you won't struggle setting up camp in the dark. Of special importance is the fact that winter daylight hours are usually shorter than normal and activities such as snow shoveling need adequate time. 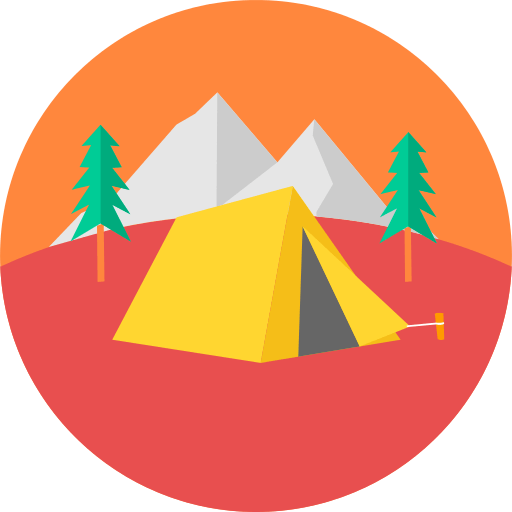 Next, you need to secure your campsite by flattening the ground so that your sleeping surface will be even, comfortable and able to support your weight. If you can, clear the snow so that dirt is exposed instead of sleeping on snow. Not only should you aim at leveling out your sleeping surface but also packing the snow. Packed snow does a good job at insulating heat as opposed to loose snow. 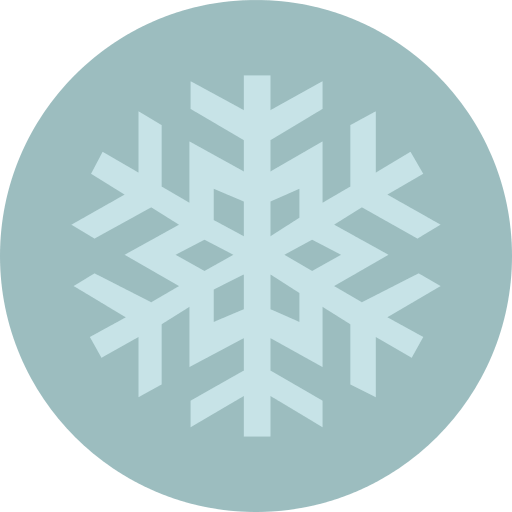 Additionally, packed snow is compact and will have a harder time melting in comparison to loose snow which is likely to melt under your body heat. 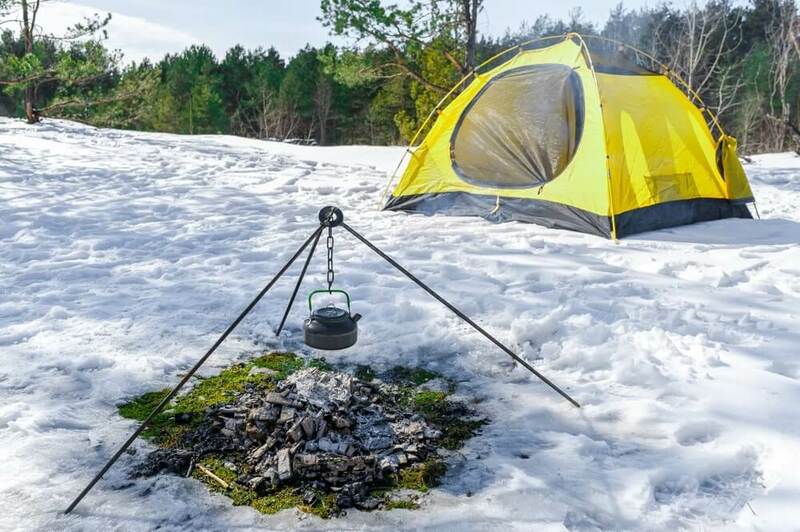 After compressing the snow, allow it to harden for about half an hour before you pitch your tent. For further comfort, create a shallow trough to protect you from wind and to avoid rolling around. While setting up camp, clear out a large area as you will need an area to walk around and even cook. Clear out areas that lead up to your make-shift pit latrine as well. Although this activity will be time consuming, you will appreciate it when you experience comfort navigating around your tent. Ensure that your tent is properly staked out so it won't be blown away when wind picks up. Use snow stakes rather than the standard ones. The best snow stakes are made out of either steel, titanium, 7070-t6 or aluminum that make them hard enough to push through frozen ground. You can use "deadman anchors" in lieu of stakes if the latter can't stay in place. A deadman is created when you bury a sack full of sand or a log perpendicularly to a guyline then securing its running end with a hitch. For added security, if you are experiencing strong winds from a particular direction, tie a tarp between two trees to create a wind barrier. Alternatively, you can pitch a tent inside your car to guarantee warmer nights. The car itself provides insulation to get you through cold nights when your gear cannot handle the low temperatures. Roaring campfires usually set up the spirit of camping in addition to being a source of heat for cooking and warmth. You should not compromise on your campfire as it is undeniably a major source of heat for you. The worst mistake you can make is to underestimate how cold it can get. Therefore, bring more than enough wood with you as finding it on ground during winter, is challenging. 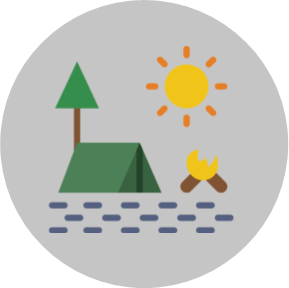 Summer campers have either already foraged wood to the point of scarcity or winter storms may have resulted in wood being too wet to burn. You'll also find that because it is off-season, there may not be wood on sale in some campgrounds. Therefore, source enough tinder to get your fire going for the entire length of your trip. Note that a sled is a valuable additive as it will help you drag in such supplies. Matches and lighters, the most common fire starters for peak season, are inclined to get damp during winter and will not work. A better alternative is to have a striker or portable flint which work well regardless of the season. Among the important facets of winter camping is having appropriate gear that will prevent the eruption of an unexpected fire. With that in mind, your best bet for an outer layer is wool as it is fire-resistant. Additionally, wool won't get ruined in case of any errant embers as compared to down jackets. Thus, you are protected from fire while your clothing remains in good condition. Tempting as it may be to source for warmth from these devices inside your tent, this is a safety hazard. Avoid bringing charcoal grills and lanterns inside your tent as not only do they pose a threat of causing fire but also result in carbon monoxide poisoning. With winter camping, even insulated blankets may not cut it. A safer alternative for warmth is electronic gadgets as opposed to a candle lantern which may result in a fire if left unattended. Camping does not have to be limited to warm months. Proper clothing makes all the difference. The rule of thumb with winter clothing is to wear extra warm clothing in order to hold up well against the low temperatures. Layers are the most effective way of remaining warm therefore the more the better. They function to trap body heat and changing them is the best means of regulating body temperature. Base layer - Start off with a base layer which should fit like second skin. It functions to trap warm air from your body. Merino wool or synthetic materials are the best base layers as they adequately trap heat to insulate you. You can wear more than one base layer if it's too cold or simply wear a pair of long johns if it's not too cold. Mid layer - Follow the base layer with an insulating layer than can be easily taken off in case it gets warmer during the day. 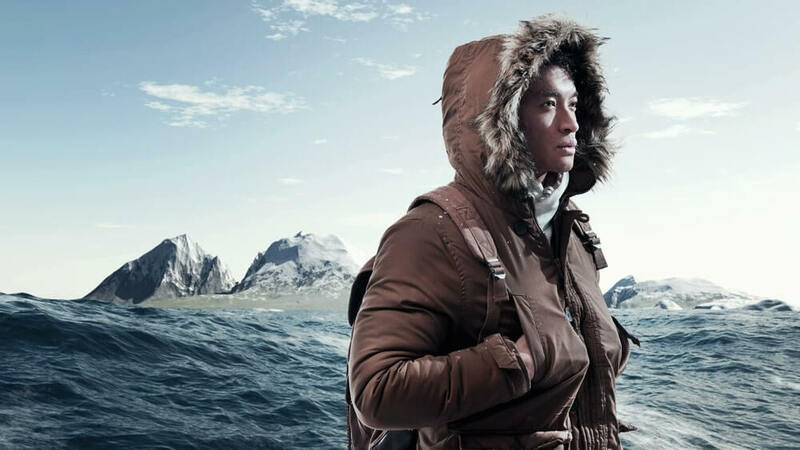 A good example of an insulating layer is a lightweight down jacket. Outer layer - highly waterproof material is the paradigm of the outermost layer. This is because you ought to remain dry and protected from snow, wind or rain. Avoid cotton altogether as they are infamous for absorbing moisture hence you'll get cold really fast. You should also avoid jeans as they take longer to dry. Instead, opt for synthetic pants as they do a wonderful job at wicking away moisture and sweat to circumvent hypothermia. As an added plus, they are cheaper than jeans. Do not wait till you are cold for you start wrapping up. At temperatures lower than 20℃, your body loses up to 65% of its heat through radiation. Therefore, you should get warm beforehand. You'll be amazed by the difference that covering the exposed parts of your body makes. Cover exposed parts such as hands, face, neck and ears using thick oils such as Vaseline. This reduces the probability of frostbites, common on the fingers, nose, ears, toes, cheeks and chin. As an added measure, wear accessories such as hats, socks and gloves and carry extra pairs with you. Hats are particularly essential as you lose half of your body heat through your head. For your feet, wear thick socks although you can swap them out for two pairs of thin socks. You can insert your insoles and socks inside your sleeping bag overnight to have them warm by morning. For further warmth, use feet warmers in boots as frozen boots may result in hypothermia. Boots with removable liners are also recommended as you can put the liners underneath your sleeping bag to keep them warm. Your clothes need to remain dry as your body loses heat through conduction. Water is a better conductor of heat than air therefore wet clothes will result in quick lowering of your body temperature. You can stay dry by avoiding working up a sweat through strenuous activities. Your body loses 85% of its heat through sweating. The more you sweat the more you lose heat through evaporation. To limit perspiration, peel off some layers as soon as you start perspiring. To prevent wetness, equip yourself with some waterproof boots and socks. Such boots are especially important when trekking through deep snow or condensation-clad grass. 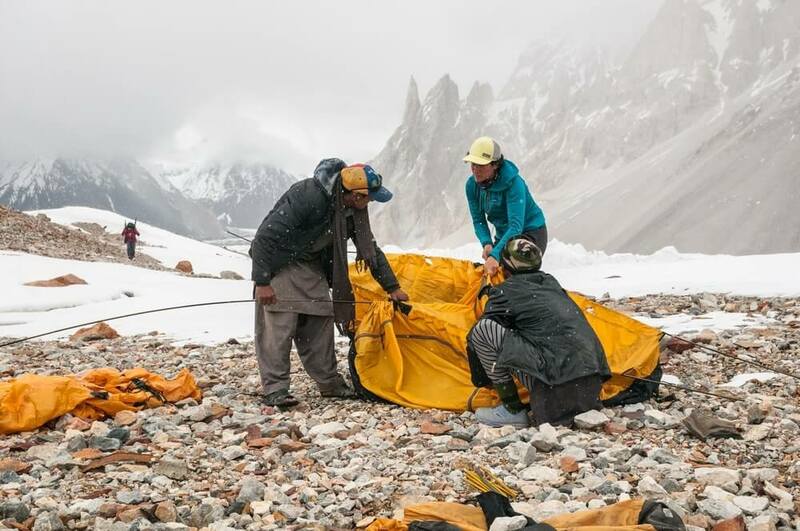 It is also important to open the vents of your tent as your breath condenses to create snow or water inside. Again, the accumulation of moisture can only work to lower your body temperature. Summer camping nights are notorious for their low temperatures. Hence, most people are discouraged from winter camping as they anticipate even lower temperatures. However, winter nights do not have to be extremely cold. Other than wearing layers, your sleeping gear should be appropriate for the low temperatures you are likely to experience. Your body is prone to losing a lot of heat through conduction; a process that involves the transfer of heat through physical contact. This means by sleeping on cold ground at low temperatures, you are likely to experience heat loss through the contact between your body and the ground. Sleeping bags usually have different ratings ranked according to different temperatures. It is therefore imperative that you choose the right one. The right sleeping bag for winter nights is one with a lower-limit temperature rating. Bags rated less than 15° are appropriate for winter camping. Note that, you should be prepared with a bag whose rating is at least 10°F lower than the coldest temperature you anticipate. You can also buy thermal sleeping bag liners which can extend your sleeping bag's temperature rate by 10°, if you already have a sleeping bag that is in good condition. The liners are not bulky therefore you will not have to worry about weight. However, it is advisable to invest in robust appropriate gear. Remember, you lose a lot of heat through conductive heat loss while sleeping. Therefore, more than anything, you need sleeping pads for those extra-cold winter nights. Not only will they provide comfort on hard ground but will also shelter you from the frozen ground. The sleeping pad's R value should not be less than four as the higher the R value the better the insulation it gives. You can also add a closed-cell foam pad underneath for additional warmth. For insulation, a tent carpet will also keep out of cold as cold air arises from the ground. You can improvise a yoga mat for this task. These layers do a great job at separating you from the frozen ground and more importantly preventing hypothermia. You want to ensure that your sleeping bag remains dry as moisture drains heat from your body. Therefore hang your sleeping bag on top of your tent during the day to air-dry it. Your best bet will be a winter sleeping bag with a black interior whose fast solar absorbency will result in faster drying. A good way of ensuring that you will not wake up to a cold morning and have to bear through cold clothes is to insert your next day's clothes into your sleeping bag and sleep on them. Not only will you have warm clothes to wear the following morning but you will also get additional warmth throughout the night. If the nights are exceedingly cold, you can put boiled water into a heavy duty plastic water bottle then hurl it into your sleeping bag for extra warmth. As unrealistic as it sounds, gears such as a backpack can also be used as an addition to your sleeping bag. Just pull it over your feet for that additional warmth. Furthermore, clothing such as heavy jackets or blankets provide additional insulation when wrapped around the bottom of your sleeping bag. These modes of insulation will come in handy especially for the times the weather becomes severe. Just like sweating, moisture from your breath makes you cold by cancelling out the insulation that your sleeping gear offers. Therefore, ensure that you do not bury your face in the sleeping bag while sleeping. The purpose of this walk is to get your metabolism going and provide warmth for your body before sleeping. If the nights are extra cold, jumping jacks will do the trick of getting you warm. Just don't go overboard as you don't want to end up sweating profusely. Contrary to popular opinion, winter camping is not an extreme activity. You only need adequate meal planning in order to have a good time even in off-season. Proper nutrition is essential when winter camping as your body uses a lot of energy while trekking through the cold. Hot soups are especially important winter camping foods as they give you much needed warmth and will provide all the nutrients your body needs after strenuous winter activities. For added measure, use wooden or plastic utensils as opposed to metal ones as they can cause the temperature of your food to drop. Remember, the goal is to consume warm or hot foods. Eat high energy snacks like nuts before retiring to sleep as they fuel your body and provide the much needed warmth. Double up on the hot beverages as well as they will not only warm you up but also motivate your winter mornings. Cooking and cleaning in the cold can be especially challenging. Therefore, opt for single pot meals that provide a lot of calories such as canned soups. Quick snacks and lunches that do not take time to prepare as your best options for an easy time. Note that basic camping rules such as proper food storage should still be followed. Although animals such as bears are at bay, it is still not worth taking the risk. You should stay hydrated throughout the day in as much as you may not experience thirst or sweating. Your body needs warm water during winter as you are losing a lot of heat through respiration especially when your body temperature is higher than 37°C. An insulated water bottle will work at hydrating you and keeping you warm. To prevent freezing, turn your water container so that the spout faces down overnight, if it is not insulated. This is because ice is usually formed from the top down. By doing this, the water at the bottom will freeze while the top will remain liquid. You can also wrap your water bottles in clothes to prevent freezing. As opposed to using water purification tablets which take longer to work with in the cold, boil your water. Alternatively, if you do not have water with you, you can boil snow. Avoid superficial heating as fresh snow is often not germ-free. Bacteria and viruses travel through the wind to contaminate powder snow. As an added measure, you can add salt to the boiling snow as snow is usually demineralized hence consuming large quantities of it is unhealthy. If you are working with a gas stove, be sure to bring extra fuel with you as this activity will drain out the fuel. When winter camping, it is advisable to drink plenty of water. That however means that you are going to pee a lot. Knowing how undesirable opening the sleeping bag is when the temperatures are at 0 degrees, a well-marked pee bottle will save you the trouble of going outside at night. As for women, a female urination device (FUD), shaped as a funnel is worth investing in as they are small, light and discrete. Conversely, you can avoid the much-dreaded midnight pee by avoiding drinks two to three hours before sleeping. Opt for lithium batteries for any electronics as opposed to alkaline or NiMh batteries as they are lighter and more importantly they perform just as efficiently in very cold temperatures. They also happen to last three times as long as their counterparts which lose power faster in the cold. Wear sunglasses to prevent snow-blindness. This safety measure is important as snow is reflective of UV light that can cause sunburn to your eyes. Bring a book with you as winter nights are notorious for how long they are. To pass time, a book will come in handy. Cuddle up. A cuddle goes a long way at prevent freezing as you are sharing body warmth. Furthermore, sleeping close together limits cold air rising from the ground. You've successfully circumvented the cold, had fun while winter camping and now it's time to wrap up. Here are the basic steps to take to ensure that nothing is out of order even after you pack for the return journey. The basic rule of responsible camping is to leave no trace .The hardness of the ground during winter makes it inconvenient to dig cat holes for hiding feces. You should therefore pack out human waste. If using tissue paper ensure that you discard it well by either burning it or packing it in plastic bags. The goal is to leave the site just as you found it. That means not only packing waste but also being careful not to leave any litter behind as you leave. The first thing you ought to do when you get home is to dry out your gear. The purpose of this is to prevent mildew especially because condensation and snow may result in your tent and sleeping gear being damp. 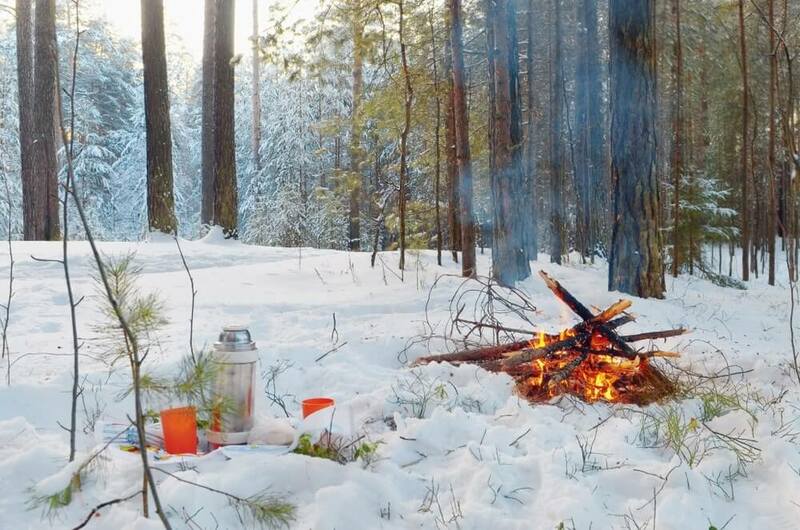 Camping during winter may seem like the least desirable activity. That's because winter camping isn't for everyone. It is for those who are adequately prepared. Do not be discouraged from winter camping as you are now fully equipped with an instructional guide on how to go camping during the winter. Here's how. This complete guide to winter camping offers the most correct way of winter camping. Follow it and you will be sure to have a good time camping regardless of the inconveniences of the winter camping.